Submit this petition along with any supporting documentation to the Admissions & Records Office. TERM RENEWAL: A student may petition for the academic renewal of a maximum of three terms of substandard coursework which is not reflective of the student’s demonstrated ability. New students to Gavilan College may obtain an exemption to the assessment orientation and counseling/education plan core requirements if they fit one or more of the criteria listed here. Please fill out this form if you wish to change any information in your records. Please complete the information and ensure that all required attachments are included with your petition. After completing the petition, make an appointment with your counselor for review and approval. New students to Gavilan College may obtain an exemption to the assessment, orientation and counseling/education plan core requirements if they fit one or more of the criteria listed. Please fill out this form if you are graduating and have completed the general education requirements for a CSU. If you have any questions please make an appointment with your counselor. Please fill out this form if you are graduating and have completed the general education requirements. If you have any questions please make an appointment with your counselor. Please fill out this form if you are graduating and have completed the education requirements for IGETC. If you have any questions please make an appointment with your counselor. 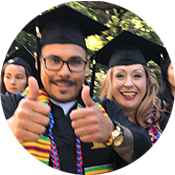 Gavilan College allows high school students grades 9 – 12 to enroll in transfer-level advanced, vocational and kinesiology courses (numbered 1-199) during the Fall, Spring and Summer sessions. High school students may not enroll for nontransferable courses (numbered 200 and above). Also see the High School students page. An incomplete grade may be given after the withdrawal deadline when a student who, because of “unforeseeable, emergency and justifiable reasons” (Calif. Education Code, 55758, 6/91), is unable to complete the course requirements. This application must be completed by the student and instructor and approved by the appropriate dean before the student will be permitted to register for Independent Study or Field Work and Service. Leaves of absence for more than two weeks will not be granted except in cases of illness. For shorter periods of time, a student may request a leave from his/her class. and counseling/education plan core requirements if they qualify. Prerequisite challenge form for a class you wish to challenge. Per Title 5, section 58108, you may submit this form for consideration if you have lost your enrollment priority due to not meeting the necessary academic requirements or because you have reached or exceeded the 100 unit maximum (excluding a maximum of 30 units of basic skills and/or ESL classes). Petitions must have both counselor and student signatures. Repeating courses may have implications for financial aid awards. Students are advised to consult with financial aid. Some colleges and universities may limit the number of or not accept courses graded Pass/No Pass. Consult a counselor before selecting this grade option. The information requested is deemed relevant and necessary to properly determine your residence status for tuition purposes pursuant to Education Code Section 68062. Please see the guidelines on the Residency page. 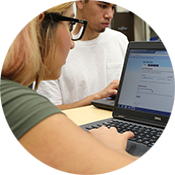 Required form for all students attending Gavilan College under the age of 18 as of first day of current semester. Please submit all documents to the Admissions and Records Office. Please also see the High School students page. Transcripts with grades for the most current completed semester will not be available until at least three weeks after the end of that semester (if your grades have been submitted). Attendance Verification Request may be submitted at Admissions & Records office at the main campus in Gilroy, or at the Hollister or Morgan Hill sites.